Experience Maui's emerald rain forests, moon-like craters, jagged cliffs, and cascading waterfalls. Enjoy a 50-minute helicopter tour exploring the wonder of the most popular areas on the island including Haleakala National Park and Haleakala Crater, Manawainui, Oheo Gulch (Seven Sacred Pools), Hana town and the Hana Rainforest Preserve, the largest rainforest in the United States. See beautiful waterfalls, the Keanae Valley, and the rugged shoreline of East Maui. Visit untouched places only seen from above! Here you will see emerald rainforests, the martian vistas of Mt. 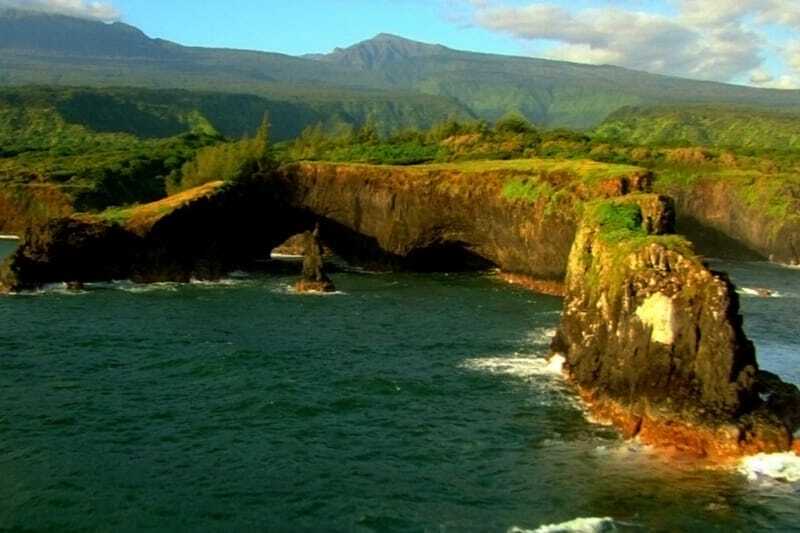 Haleakala, rolling Alpine-like meadows Upcountry and jagged cliffs and cascading waterfalls of Hana-side. 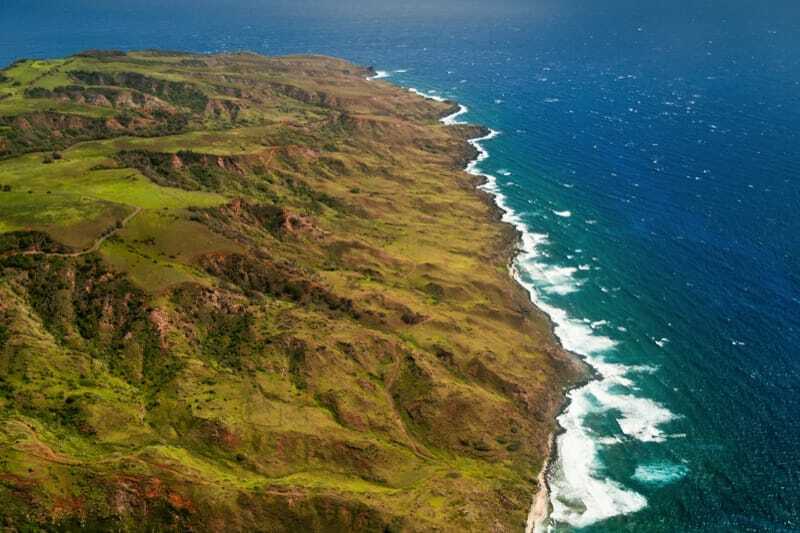 Most of Maui's magnificent hidden secrets are inaccessible except by air! A high quality, live DVD recording is made of your actual flight and may be purchased after your tour for $25. A High Definition, live Blu-Ray Disc or USB Stick recording is made of your actual flight and may be purchased after your tour for $40. Less personal space than the Eco-Star but with a similar open cabin design for 180º views from each seat. Somewhat less viewing glass than the Eco-Star. The AS350 is the most utilized tour helicopter in the world, and all of them look virtually the same. Upgrade to an Airbus EC130 "Eco-Star"
Featuring state-of-the-art, Eco-Star Helicopters. Our aircraft incorporate all the latest in cutting-edge technologies, materials, systems, and offer incomparable passenger comfort and fantastic sweeping views. Eco-Star's 23% increase in cabin space over the A-Star affords significantly greater personal space for guests, along with improved visibility with over 65 square feet of glass for 180º unobstructed views. Eco-Star features superior comfort; individual seats for every passenger afford the kind of shoulder room and personal space found in airline First Class seating. Eco-Star features raised rear seating and wrap-around glass cockpit, for significantly improved visibility from every seat. Time selection indicates your preference. We will try to get as close to your preferred time as possible. Exact check-in and flight times will be given with confirmation. FAA regulations require us to weigh all guests and bags at check-in. We do this discreetly for your privacy. Please be accurate as possible when providing weight information. For each guest weighing more than 260 pounds on Eco-Star flights or more than 250 pounds on A-Star flights, an adjacent, empty seat purchase is required. The charge for an adjacent empty seat is 50% off of the regular tour price. This open seat ensures the comfort for you and all of our guests on your flight. Credit cards are charged upon confirmation of a reservation. Full refunds will be made for any cancellation with at least 24 hours notice prior to scheduled flight time. Do you make a video of our actual tour? How long is it? Every flight is captured on a high quality DVD. Each helicopter is equipped with four cameras; three external and one in the cabin. The video recording begins during the boarding process. On the video, you'll most likely first see yourself as you approach the aircraft for boarding. To orchestrate the most interesting video, the pilot chooses between the forward, side or internal camera as the flight progresses. The cabin camera, for example, usually shows you right after lift-off as it is so much fun to capture our guests' expressions of amazement. The recording is continuous until landing and includes digital quality music chosen to complement the changing scenery, plus all the pilot's narration. The video is available for purchase right after you return from your flight. Our helicopters are temperature-controlled so dress comfortably but wear dark clothing to minimize any window reflections. If your flight includes a landing at higher elevations, bring a sweater in case it's chilly. Hats are not allowed to be worn around the helicopters as they can fly up into the rotors and damage the aircraft. We will be happy to hold any hats for you until you return from your tour. Do you recommend taking anti-motion sickness medication? If you are particularly prone to motion sickness, taking a precautionary anti-motion sickness medication is a good idea. However, our flights are very smooth and turns are slow and gentle. This is a professional scenic tour, not a thrill ride. Most people do not experience motion sickness and do not need an anti-motion sickness medication. We suggest that you book your helicopter flight prior to arrival in Hawaii. This assures you of a tour time that fits into your vacation plans. It?s also wise to book your tour for the early part of your stay. That way if your pilot determines that weather conditions on a particular day are not optimal for a tour, you will have some options for re-scheduling. As far as the best time of day for a helicopter tour, you should primarily consider your personal schedule. Most of the time we are blessed with beautiful weather in Hawaii and the time of day, whether it be morning or afternoon, will make no difference. If we happen to have a rainy weather pattern the pilot will consult weather reports and other pilots who have been flying to determine if we can operate a good tour. Blue Hawaiian does not want to take our guests on a flight unless we are reasonably certain we can give you an excellent experience. How much experience do your pilots have? All pilots are highly experienced. 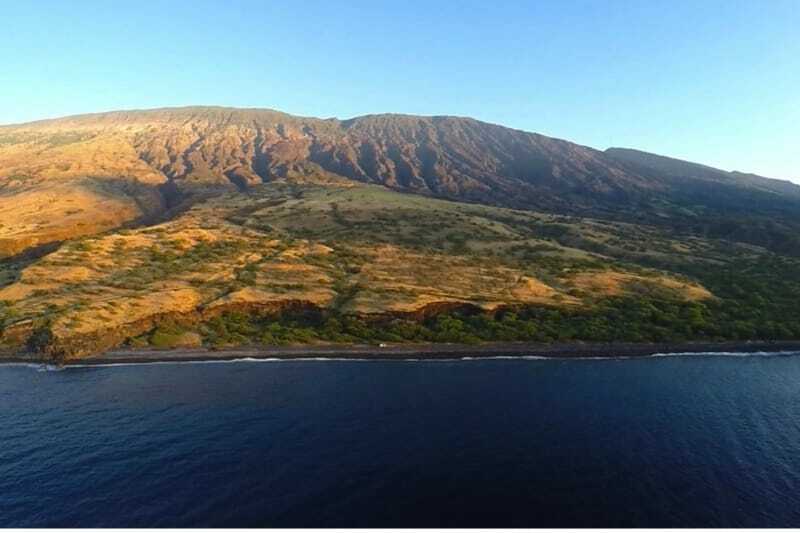 In fact, we believe that this is the most experienced group of helicopter tour pilots anywhere in the world, and each of them is required to obtain certification as a State of Hawaii Tour Guide. Furthermore, Blue Hawaiian is the only helicopter tour company in Hawaii with its own state-of-the-art Flight Simulator, and the only one that puts its pilots through annual factory and FAA recurrent training. Will we be the only ones in the helicopter? How is seating arranged? Unless you charter the complete helicopter you will be sharing the flight with other guests. We try to seat couples and families side-by-side as much as possible. We cannot guarantee particular seating as it is often dictated by our FAA approved weight and balance program. However, visibility from every seat is excellent in both our A-Stars and Eco-Stars, since there are no cabin partitions that would block part of the view as is the case on other types of helicopters. Are we guaranteed to see all of the sights mentioned in your tour descriptions? The points of interest mentioned in our tour descriptions are highlights of the tour, which we always do our best to show you depending on wind and weather. Each tour is unique in that we'll show you the best currently available scenery while also trying to accommodate all of your special requests within the generally allotted time. How low do you fly? A Federal Aviation Administration altitude restriction of 1500 feet has been in effect since 1994 with deviations to 500 ft. on each major Hawaiian Island. Virtually all helicopter operators in Hawaii share the same deviation authority from the FAA to fly as low as 500 feet in the tour areas. This is a bucket list for sure ! Our pilot Lee was awesome. The views of the Haleakala crater and waterfalls near Hana were breathtaking. The helicopter does not have a bad seat for viewing, and is very comfortable. Totally worth the money spent. We did the Hana/Haleakala tour and it was amazing. Hugo, our guide, did a fantastic job making us feel completely safe and entertaining us the entire way. We had already done the Road to Hana by car, but the views from the air are just spectacular. This was the second time we’ve used this company (first on the big island) and each time has been fantastic. We did a Haleakala and Hana trip on an eco star and our pilot was Hugo. He did a great job flying and pointing out the highlights. It’s certainly not the cheapest activity but I always feel like I get my money’s worth. 23% increase in cabin space affords significantly greater personal space, along with over 65 square feet of glass for 180 degree unobstructed views. For passengers 250lbs and over, please add a block seat for purposes of weight distribution. For EcoStar flights before 9:00am, save over $38 after taxes.